Keeper is a free and easy to use password management system available on multiple mobile OSs (Android, iOS, WP) and desktop. 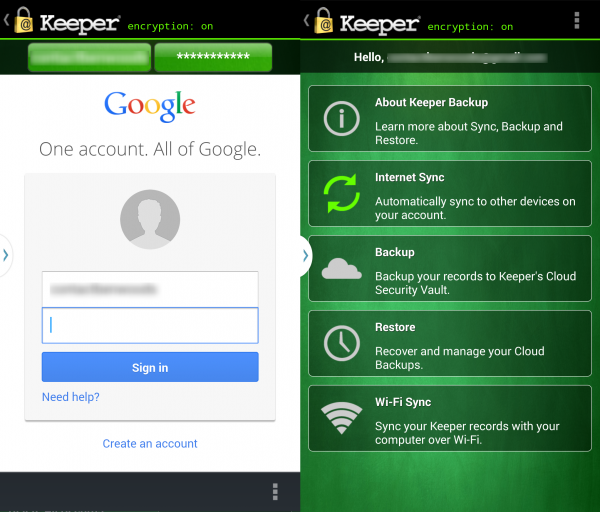 Keeper allows users enter, organize, and safely store passwords and personal information. There's even a built-in password generator for creating strong passwords on the fly. The app can auto-fill login information on the fly as well as remember new passwords. Signing up for Keeper provides you with a 30-day trial of its cloud backup and syncing systems, after which you need to subscribe to one of its backup plans to continue enjoying cloud-based backup and multi-device synching.